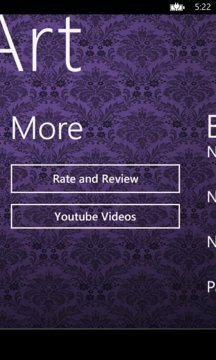 This is the all new, totally modified Nail Art application which is ideal for the Nail Art enthusiasts, especially the ladies. This app has numerous Nail Art designs that are characterized into 3 levels namely Beginner, Intermediate and Expert. *Contains a LOT of new and beautiful designs! 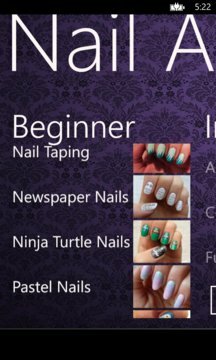 >This new update has got the entire UI re modified and now looks beautiful and fun to learn and practice Nail Art. > This app contains step-wise TUTORIALS using which one can design the nails with perfection and learn various designs. >Link to YouTube videos, for further video tutorials.